Bayern Munich vs Wolfsburg predictions for this weekend’s German Bundesliga. Bayern look to home in on the top spot when they host Wolfsburg at the Allianz Arena on Saturday. Read on for our free betting tips and match preview. 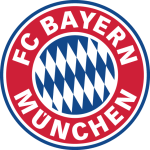 Bayern Munich joined Borussia Dortmund on 54 points at the top of the table thanks to a comprehensive 5-1 win at Borussia Monchengladbach last weekend. Robert Lewandowski scored twice in that game to move level with Frankfurt’s Luka Jovic at the top of the 18/19 goalscorer chart and he’s now tied as the Bundesliga’s leading foreign scorer too on 195 goals. He should like his chances of breaking the record on Saturday, having put more goals past Wolfsburg, including five in one historic nine-minute spell back in 15/16, than any other club (19 overall). Wolfsburg continued to make progress towards their European ambitions last weekend. After starting the new year with back-to-back defeats against Schalke and Bayer Leverkusen, the Wolves are now unbeaten in five (W3 D2), with Sunday’s 1-1 draw at home to Werder Bremen leaving them outside the top six on goals scored alone. Bruno Labbadia’s men don’t have the best head-to-head record against Bayern – which side does? – but do travel to the Allianz Arena in the some of the best form the side has been in for years. And the visitors shouldn’t be without their chances either. Keeper Manuel Neuer isn’t quite the same impenetrable wall of years gone by. He, and keeper Sven Ulreich in his absence, have kept a clean sheet in just one of Bayern’s last seven Bundesliga games, and when looking back further over the season as a whole, Bayern have actually only managed to keep out their opponents in around a quarter of their home matches. Wolfsburg’s scoring record on the road has been particularly strong in recent weeks too – the Wolves have scored in each of their last nine Bundesliga away days, six of which have seen them find the back of the net multiple times. However, Wolfsburg’s defence has been very hit and miss on the road, and there’s no looking past that here. With Bayern very much in goal-scoring form, it will be an uphill battle for the visitors to stop them. Bayern have scored three goals or more in five of their last seven at the Allianz Arena and, unsurprisingly, main man Lewandowski has often been at the centre of it all. Hence, there is value to be had backing ‘Both Teams to Score’ here – BTTS has landed in 64% of Bayern’s home and 50% of Wolfsburg’s away days after all – but it’s really hard to look past the resurgent hosts for the win. Our prediction: 3-1 Bayern Munich. Bayern München haven’t lost any of the 21 Bundesliga matches at home against VfL Wolfsburg (W19 D2). Against no other team have FCB played so many BL home matches without losing a single game. Wolfsburg have won just 8% of their competitive fixtures against Bayern, losing 76%. VfL Wolfsburg have picked up 24 points from the last 12 Bundesliga matchdays (the same as league leaders Borussia Dortmund). Only Bayer 04 Leverkusen (25) and opponents Bayern München (33) have picked up more. After scoring his 194th and 195th goals last time out, Bayern’s Robert Lewandowski drew level with Claudio Pizarro in the all-time BL scorer charts (5th). No foreign player in BL history has scored more goals than Lewandowski or Pizarro. Javi Martínez has opened the scoring for Bayern with his last four competitive goals. His headed goal against Gladbach on matchday 24 took FCB’s headed goals tally up to 12 for the season – a league high. Home advantage: Five of Bayern’s next six competitive matches will be played at the Allianz Arena. They travel to Freiburg in the Bundesliga on matchday 27. Wolfsburg have scored five goals from set pieces in their last four Bundesliga matches (3 from free kicks and 2 penalties). Wolfsburg have lost twice as points from winning positions in the last four matchdays (4) as in the whole season prior to that (2). Wolfsburg have the second best away record in the league this season (23 points). Only opponents Bayern München have been better on the road (30 points). Wolfsburg’s coach Bruno Labbadia has lost his last 14 competitive matches against Bayern München – a negative record for a coach against a single opponent in German professional football.